Vehicular accidents increase in the winter. 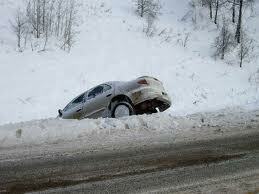 Snow and ice make driving tricky. Holiday shopping and travel mean extra miles. Shorter days mean more nighttime driving. Body shops get busy, and Standard Tools sells more collision repair equipment, including frame pulling systems. It might help to know your options before you start shopping. Portable pulling systems are useful as mobile devices for spot-work. They work by pulling one part of the car against another and can only be used for small jobs, unless a user really is an artist at this kind of work. Pulling posts are used with anchor pots in the shop floor. This process dates to the 1920’s and is still used by some shops. The systems are very robust but can be slow to operate. Pulls are generally simple and uni-directional. The Dozer is a rolling main tube with a pivoting vertical tube that pulls a secured chain. This equipment is very useful on straight pulls on the side or end of a vehicle. The vertical post rotates for more adjusting, but complex or pulls at an angle to the vehicle must be done in stages. Our Floor System is a full system with four clamping stands and a rolling vertical pulling post. The bed is made of six heavy-duty sections that anchor to the shop floor to create a machine bed that is larger than some frame machines. The system comes with one rolling round pulling tower, but Standard Tools can provide a second tower. This system is useful for other repair tasks and only sits 4.5” above the floor when not in use. Standard Tools offers three different frame machines. The 3003-17 is our entry-level machine that comes ready for any job. It comes with two 10-ton square towers, four clamp stands and an infinite range of tower locations. This machine is easy to use and should perform well on most autos and light trucks. The 3002-18T and 3002-20T frame machines are heavy-duty frame machines designed to repair auto and most pickup trucks. Rounds towers allow pulls at an angle to the bed, and the ½” bed thickness provides a stable pulling platform. All three frame machines are tilt-style to allow easy loading of most vehicles. All three machines work with a wide range of measuring equipment and machine accessories. If your body shop parking lot is filling with collision work or if it just time to replace a tired frame machine, give us a call. Our website has plenty of photos and videos to show the quality and features of our systems. Standard Tools started in business in 1979 supplying collision repair equipment and continues to supply real value to shops who profit by repairing all types of collision damage. Previous Previous post: Sure, you can go with the cheapest deal you find online. Next Next post: What Does Your Parking Lot Look Like?